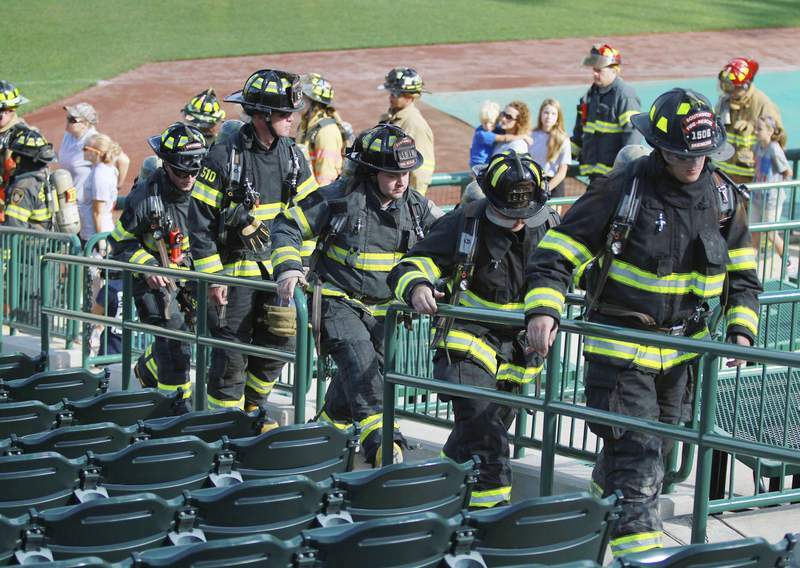 Photos by Rachel Von | The Journal Gazette Firefighters from Southwest Fire District make their way up the stairs at Parkview Field during the 9/11 Memorial Stair Climb on Sunday. The climb commemorates the 403 first responders who died on 9/11. 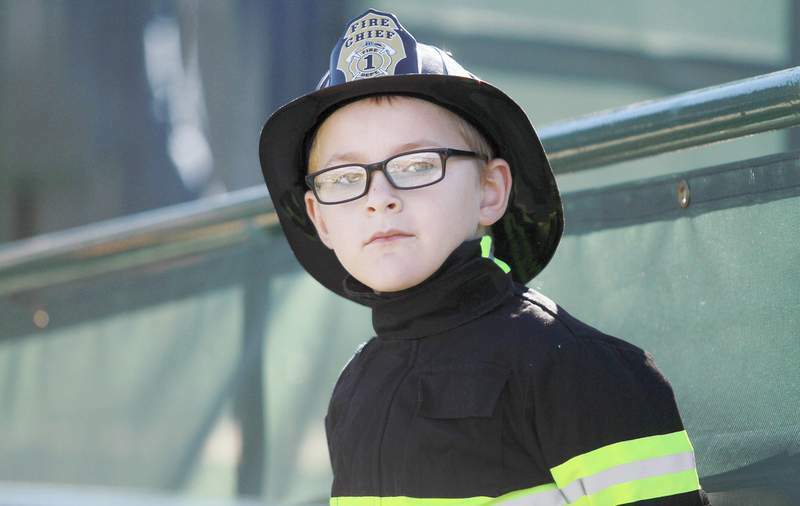 David Plummer, 7, takes in his surroundings during the 9/11 Memorial Stair Climb. During the event, participants walked up and down the stairs. On the 15th anniversary of the 9/11 terrorist attacks, thousands of residents passed through the doors of Fort Wayne’s Cathedral of the Immaculate Conception to pray for peace. For the Knights of Columbus’ World Day of Prayer for Peace, the cathedral was open to anyone who wished to light a candle and pray for an end to violence. The vigil featured music performed by Franciscan Brothers. "We did it because we knew Be a Tourist in Your Own Hometown was here and it coincides with the 15th anniversary of 9/11, so we figured it would be a good chance for people to pray on this anniversary of those tragic events," Monsignor Bob Schulte said. Held on the first Sunday after Labor Day, Be a Tourist in Your Own Hometown gives residents a chance to visit city attractions free of charge. Schulte said he wants to make residents aware that the cathedral is a spiritual oasis in Fort Wayne. "We wanted to take this opportunity to invite (residents) in and let them experience the prayerfulness and reverence," Schulte said. Nearby at Parkview Field, 403 registered participants climbed up and down the stairs of the baseball stadium to commemorate those who lost their lives on that infamous day 15 years ago. Though the rest of the afternoon was open to anyone who wished to climb the stairs, the 403 people who climbed the steps at 10:28 a.m. – the exact time the north tower collapsed – represented the 403 public safety members who died in the attacks. Wearing their uniforms and gear, many of Fort Wayne’s public safety workers made the memorial climb. Event organizers plan to return to Parkview Field on Sept. 11, 2021, to mark the tragedy’s 20th anniversary.